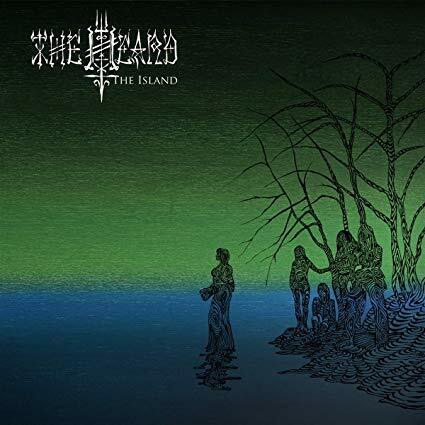 Review: "Heard, The: The Island" - Sea of Tranquility - The Web Destination for Progressive Music! Based on the mere fact that two of the band members call themselves Pepper and Skinny, The Heard could easily be mistaken by the uninitiated for some bouncy yet vacuous pop band. But once you take a look at the cover for The Island and press “play” on this 10-song debut, you’ll realize something significantly more sinister is happening here. Indeed, this dark Swedish doom-metal/hard-rock band -- four-fifths of which are female -- introduces itself with a concept album about a haunted island in the Baltic Sea where, according to the band, “mysterious and unexplainable situations seem to occur far too often.” Pepper, who was plucked from performing burlesque to sing for The Heard, reminds me a bit of Anneke van Giersbergen but with a deeper register. Three other members (Ida, Klara and Nicki) rose from the ashes of another Swedish band, the all-female Crucified Barbara. Although The Island could use a few more killer hooks to make this a more compelling listen -- the pretty “Sirens” and the rifftastic “Revenge Song” emerge as the strongest tracks -- The Heard still deserves to be heard.